Senior Care in Manalapan Township NJ: How Can You Cope with the Physical Demands of Caregiving? How Can You Cope with the Physical Demands of Caregiving? 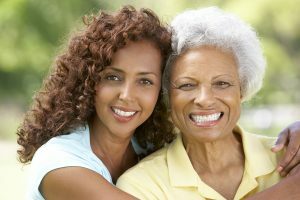 If you’re in the beginning stages of your caregiving journey, you may not realize yet that caregiving can be extremely demanding on a physical level. Beyond the fact that your elderly loved one may need help lifting herself, there’s the fact that you’re likely to be on your feet a lot and constantly on the go. Learning to cope with the physical demands of being a caregiver is part of your self-care plan. You have to be able to start from a position of knowledge when it comes to protecting yourself from the physical demands of caregiving. Start with your doctor. Talk to him about the fact that you’re a caregiver and find out if you’re indeed healthy enough to keep up with the physical demands on your own. He may also recommend that you work with a physical therapist to learn what you’ll need to know in order to protect your own physical health. Once your doctor clears you to do so, start exercising. Cardio and weight-lifting or resistance exercises will help you to build up your strength and your stamina. You’ll want to start out slowly, especially if it’s been a while since you last exercised. As you build up your strength, you may start to notice some of the physical aspects of caregiving becoming easier for you, which is what you want. Until you’re able to become stronger, or if you’re as strong as you’re going to get, consider getting extra help. Other family members may be able to help share the burden of caregiving with you or you might consider hiring experienced senior care providers. Regardless, the extra hands can help you to offload some of the physically-demanding aspects of being a family caregiver. Pushing yourself can work in some situations, but when you’re talking about the physical demands of caregiving, that can be dangerous. It’s essential that you understand and accept your own physical limits as a caregiver. Get the help that you need and then allow those folks to do what you can’t or shouldn’t be doing yourself. There’s no reason that you have to be the only one helping your elderly loved one. The smarter you are in dealing with the physical demands of caregiving, the longer you’ll be able to keep up with those same demands.